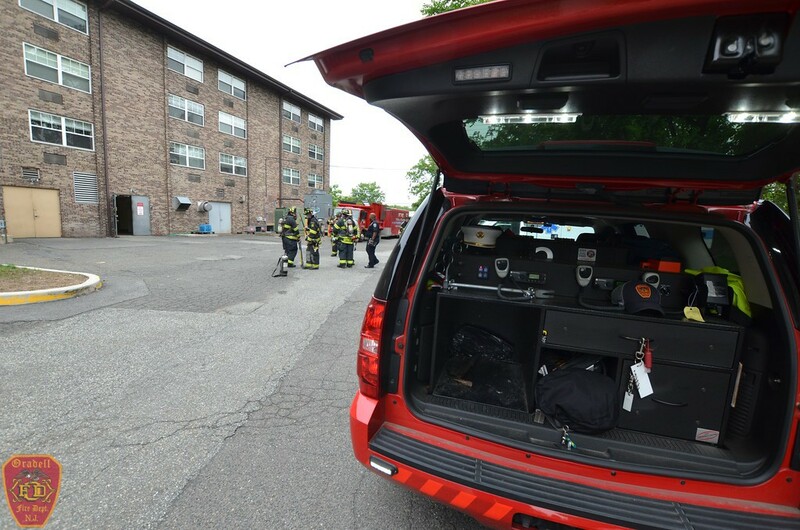 Car 20 and Tower 21 were dispatched as part of a mutual aid assignment to an unknown hazardous materials incident at 800 River Road in New Milford on Friday morning. Car 20 and Tower 21 helped secure the scene in the rear of the structure. 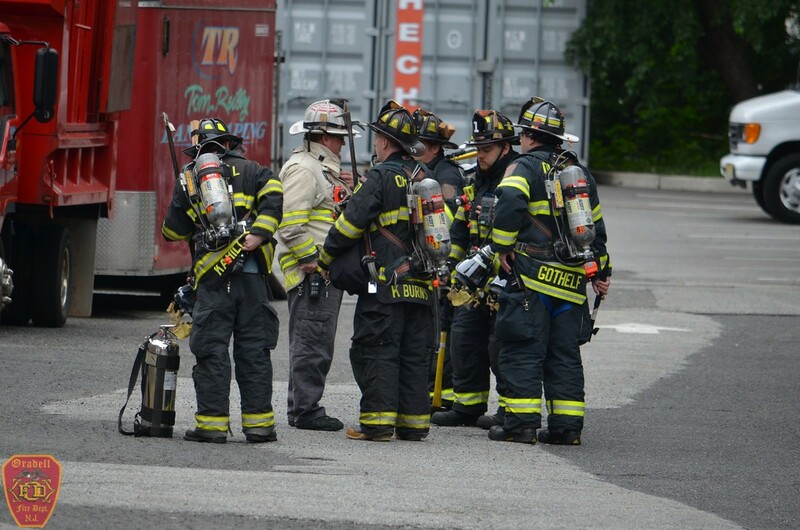 Bergen County Hazardous Materials Team also responded and was able to determine that the found materials were non-hazardous. Thanks to www.brettsfirephotos.com for the photos. This morning Tri-boro units (Oradell, River Edge and New Milford) were alerted for an activated Fire Alarm at The Woodcrest Center in New Milford. 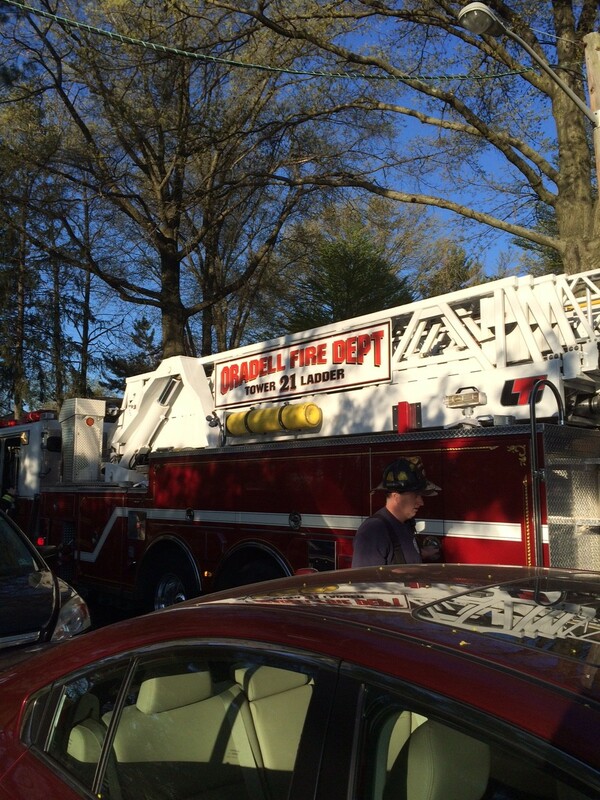 Oradell Tower 21 arrived first due with River Edge Ladder 11 and New Milford Engine 32 behind them. 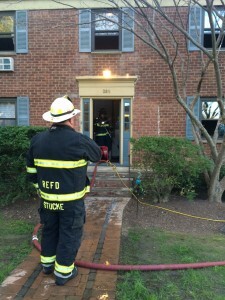 Companies determined the alarm was set off by workers in the basement.